If you're a fan of Atlus's various games, then today is a good day to visit Amazon. Atlus has some great games available for a wide variety of systems, including Demon's Souls, Trauma Center, and the Shin Megami Tensei series. If you've never played these games before, but were always hoping to, Amazon has a slew of deals on some truly great Atlus titles. Today's Video Games Deals of the Day at Amazon feature twenty different Atlus titles for Sony and Nintendo systems including the PSP, DS, Wii, and PS3. Examples include Radiant Historia for the DS down from $34.99 to $27.99 and Demon's Souls on the PS3 for $14.99. 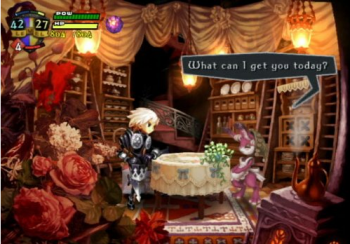 On top of that, the truly awesome Odin Sphere has been reduced to $15.99. A lot of times, the Amazon deals are on some fairly unimpressive titles that the site is trying to clear out its stock on; that said, today's sale is pretty great. If you've been eyeing any of these games, now's the time to snap 'em up.